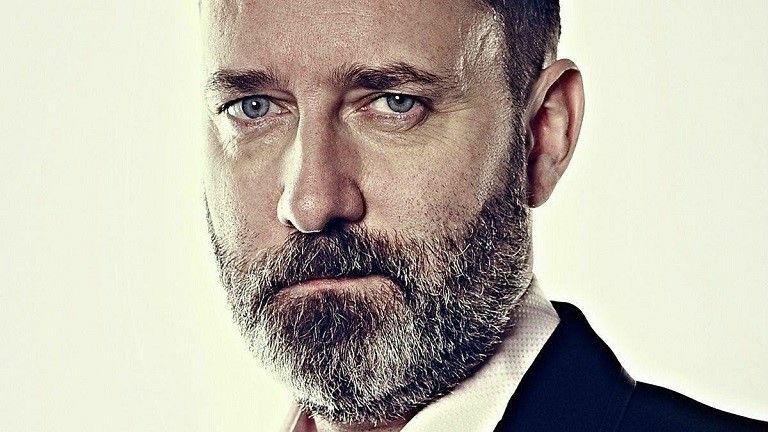 Perhaps you have already heard about Kevin Ashton. In 1999, Procter & Gamble hired Kevin Ashton as a brand manager to bring a wind of change to the UK’s cosmetics industry. He was the first to observe that a particular brown lipstick from one of their cosmetic lines was always apparently sold out, and nobody knew why. Interestingly, the product was available in stock, but at that time, it was not possible to link the retailer with the supply chain electronically. Inspired by microchips, which had increasingly become a part of credit cards in Europe in the mid-1990s, Kevin Ashton had the idea of integrating an RFID antenna into lipstick shelves to help branch managers keep track of the amount of lipstick still available there. What was his rationale? As soon as the shelf was out of lipstick, it had to be possible to make additional deliveries automatically via electronic interfaces—even in those days, a smart strategic move to keep enthusiastic customers happy and loyal. In 1999, Procter & Gamble researched the idea of “smart packaging” to test Kevin Ashton’s approach. That same year, Kevin Ashton created a presentation with the title “That ‘Internet of Things’ Thing.” A new child was born. Finally, with this presentation, the idea of machines that could communicate was disseminated, and people became aware of the huge potential of connected physical objects in a digital world. Today, Kevin Ashton is regarded as the inventor of the notion “Internet of Things.” Did you know that? Would you like to read more about the “Internet of Things”? Just click here. In the 20th century, computers were brains without any intelligence—they knew only what we as humans had told them. 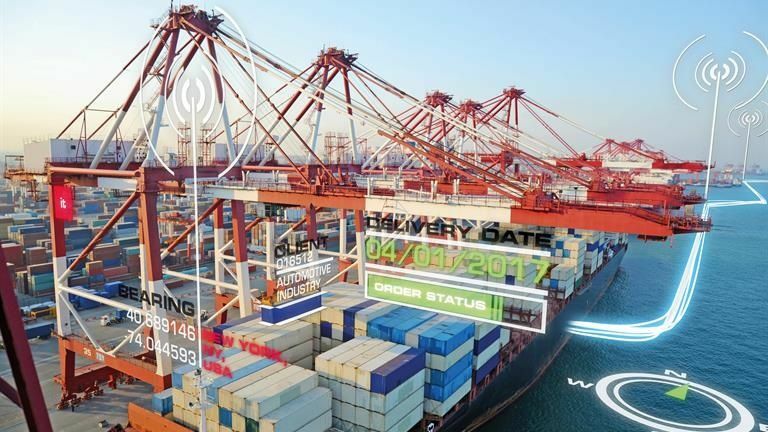 That was a severe limitation: Just imagine—in our world there are many billions of times more information that can be captured by sensors than human beings can enter via a keyboard or scan using a barcode. New Forms of Intelligence: IoT, GPS, Sensors, Etc. Today, in the 21st century, computers can perceive autonomously due to the Internet of Things and intelligent sensors. Although it has been only a couple of years, we already accept connected sensors as being self-evident. One good example is GPS-based location determination. Civil GPS was first approved by the US Congress in 2000. GPS systems in mobile phones were first tested in 2004. Even today, a world without GPS is hardly conceivable: GPS helps us to find locations and to navigate our way through cities. Most recently, we are able use live tracking via geo positioning to track status changes for things ranging from Amazon deliveries to pizza orders. In the near future, we will sit in self-driving cars thanks to sensors that can perceive locations and surroundings. That will save us around 20 days that we would otherwise spend driving. And what’s more, it is estimated that many traffic accidents with injuries or even fatalities caused by human error will be avoided. Today, up to 37,000 human lives could be saved in the USA through the use of fully automatic, driverless vehicles according to a RAND study. 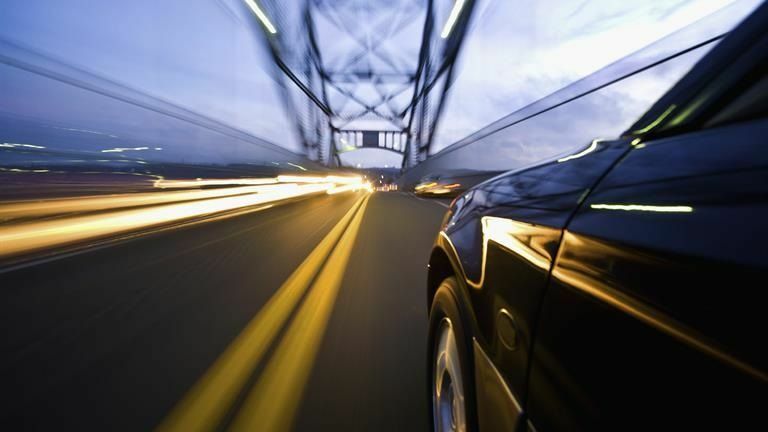 It is also estimated that the number of prevented accidents will amount to roughly 1.1 million in the next 50 years if autonomous vehicles are used. Nowadays, there is a range of various technical sensors that can capture countless states of moving and fixed objects at low marginal costs. We already have sensors that perceive temperature, brightness, pressure, humidity and dust pollution in various surroundings. In addition, we have sensors for friction characteristics and flow patterns in engines and hollow bodies. Added to this, we have position, acceleration, and shock sensors for moving objects and detecting motion and distance through radar, as is currently used in semi-autonomous cars. According to a recent article by Ayoosh Katuria about “What’s New in YOLO v3,” camera-based object detection in connection with artificial neural networks is particularly promising as well. In this case, the sensor is the image information that can be analyzed and evaluated by means of intelligent algorithms. And What Are Synthetic Sensors? It is also interesting that there is already research being carried out regarding “caring” synthetic sensors. It is their task to draw conclusions about the state of a certain object using artificial intelligence based on certain measured object values. What is particularly of interest is that the object itself does not require a dedicated sensor—merely the perception of the object’s response from a distance makes it possible to monitor its condition. You can see this for yourself in a video by Gierad Laput, PhD candidate at the School of Computer Science at Carnegie Mellon University. Another example is the use of sensors in the logistics sector. For example, at border crossings, it is common that trucks, parcels, bins, pallets and containers are subject to opening and inspection by customs authorities for settling customs documents. However, there are also cases in which high-volume containers, to put it mildly, are not opened for the purpose of customs inspection. Many companies have already reported that entire container loads have been lost completely—for some obscure reason. One possible means of resolving this problem is GPS-based positioning in connection with a sensor that measures the incidence of light in the container. In concrete terms: If the container is opened (sensor captures brightness) at a customs office (GPS position recorded), it will indicate a probability of 99 percent that the process is in compliance with the law. In other cases, for example, if a container is subject to unplanned opening en route, sets of rules can detect this incident and, depending on the use case, send appropriate notifications to the sender, carrier or recipient automatically. 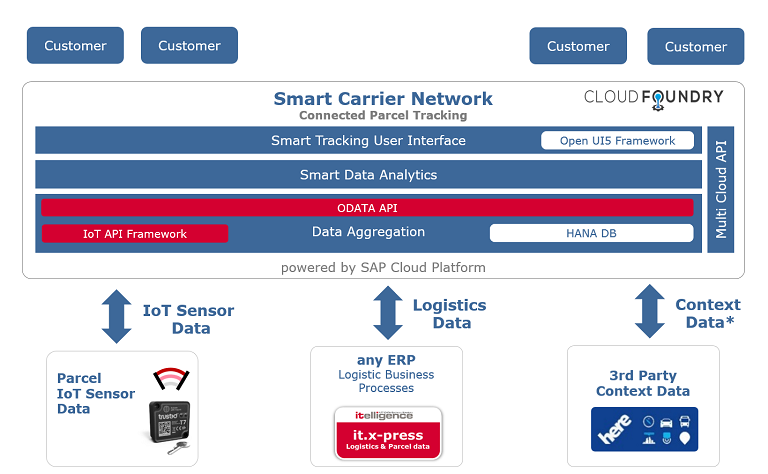 Would you like to learn more about our Smart Carrier solution? Our blog post provides further information, or just contact us directly. We would be glad to talk with you. In doing so, these and many other technical “sensory organs” transfer their information to the Internet and network with a great number of information and analytics services. As shown in the examples above, in the future, the Internet of Things will be increasingly important to draw decisive conclusions from the large quantity of data provided by connected and intelligent objects and to assist us in our decision-making. Various data sources can be gathered and evaluated with cost-effective tools—either directly via sensors or, as shown in the example of synthetic sensors, completely without any technical extension. Just as Kevin Ashton taught us as he found the solution for permanent availability of the highly coveted lipstick: Data and the information it contains that are captured using sensors in the Internet of Things provide significantly improved business solutions. In the near future, we can be excited about totally new business models based on such data. Would you like to know more about the “Internet of Things” or related topics? Contact us today. We look forward to getting to know you. 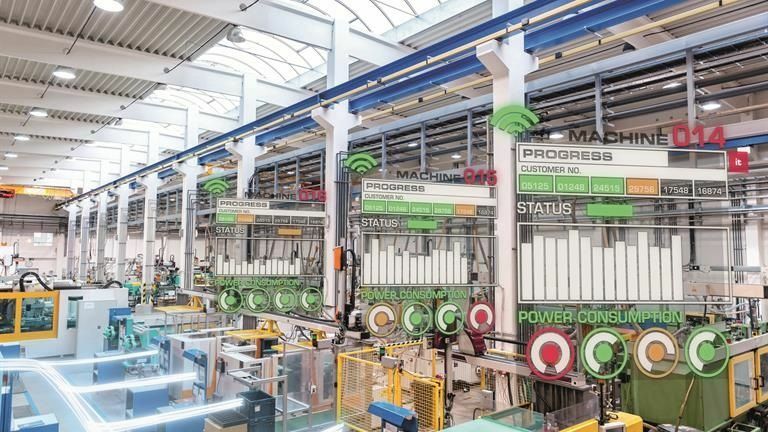 Best conditions for service technicians thanks to mixed reality.